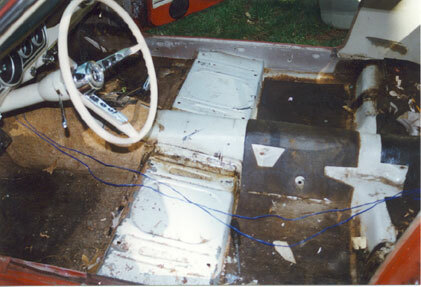 After getting the suspension mostly working, and moving onto the 3rd head for the engine, the rusted floorpans were next. This took place during the Summer of 1998. 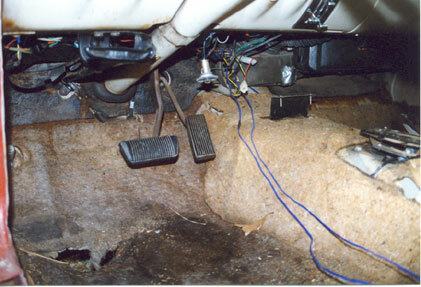 Shifter area after the carpet had been removed. Look at all of the junk! 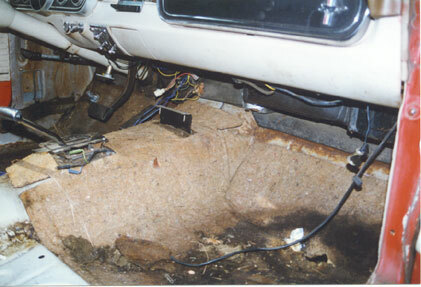 The big hole in the driver's footwell was causing the carpet to get soaked every time it rained, which in turn caused the floorpans to rust more. 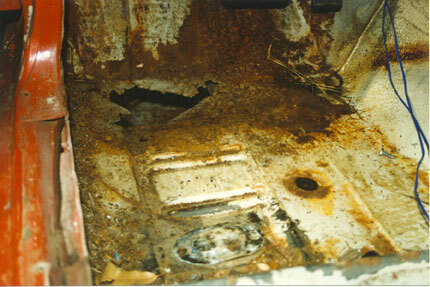 Another shot of the extensive floor rust. It's a wonder I didn't fall through when driving! 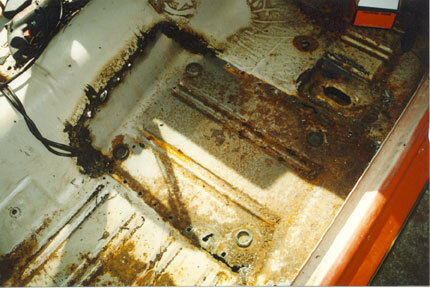 Even the seat risers were mostly rusted out. 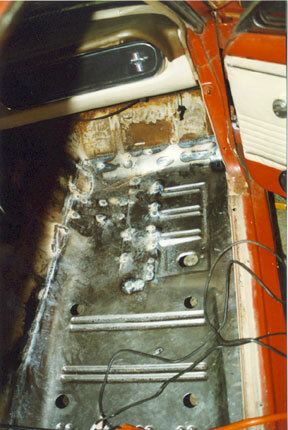 New passenger side floorpan all cut and ready to be welded in. 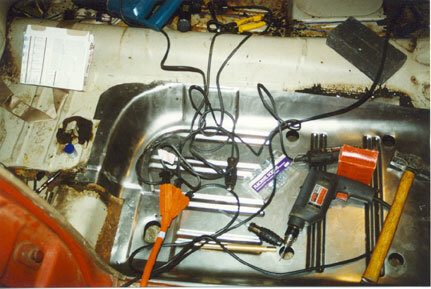 Passenger's side floorpan welded in place (seat riser not in yet).